Ozzie and Denice Grant operate www.grace-unlimited-ministries.org. Grace Unlimited Ministries is a nonprofit 501 c3 organization. We are entirely devoted to the ministry of bringing reconciliation between man and God by removing the lies that humanity has believed about God, lies which promote the fear that keep us separated from Him. We believe that Jesus Christ alone has given, and is still giving us, the true revelation of God. The uniqueness of Jesus’ insight into the Father transcends all previous and subsequent representations of God that do not harmonize with His characterization of the Father’s character of love. We believe that all scripture must be understood in the light of Jesus’ revelation of the character of God, and that it must harmonize with the principle so clearly demonstrated on the cross: self-sacrificing, unconditional love. We believe that God loves the whole world. Jesus, the seed that came to the world through the seed of Abraham, is the fulfillment of the promise given to Abraham that through him all the families of the earth would be blessed. That encompasses all, without distinction of color, race, creed, or any other barriers that may exist between the peoples of the earth. We also believe that God is light and in Him there is no darkness at all. 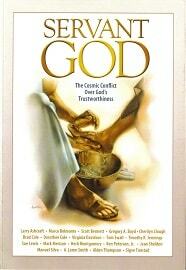 As seen through Jesus Christ, who came to reveal Him, God is a pure being without mixture of good and evil. God is life. God is love. God is light. We believe that the foundational cause of Lucifer’s fall was his rebellion against God’s eternal law of agape love. Lucifer believed that God’s law was inefficient in keeping order in the universe and that it removed one’s freedom of choice. 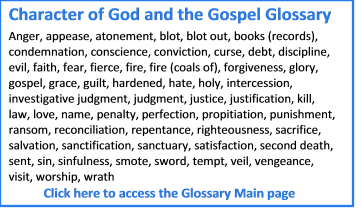 He devised an alternative law which was a mixture of light and darkness and which came to be represented by the tree of the knowledge of good and evil in the Garden of Eden. Lucifer’s law is the law of arbitrary reward and punishment, and it uses violence as motivation for order keeping. Through bribes and threats of punishment Lucifer has ruled the earth for six thousand years. We believe that once God’s love is seen for what it truly is, and once Satan’s cruel and harsh government is understood in its fullness, a segment of the human race will reject him, and then he will be crushed under our feet (Romans 16:20). 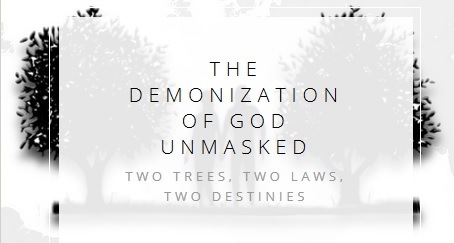 Ozzie Grant is also author of The Demonization of God Unmasked. There are two laws at work in the world: God’s law of agape love and Lucifer’s law of good and evil, the law of arbitrary reward and punishment. Lucifer has portrayed God as One who operates by the law of reward and punishment. By doing so, he has, in effect, demonized the Creator. 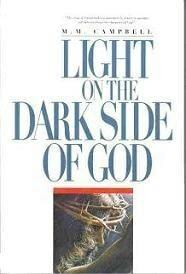 Jesus Christ’s life and death disputes Satan’s lie. 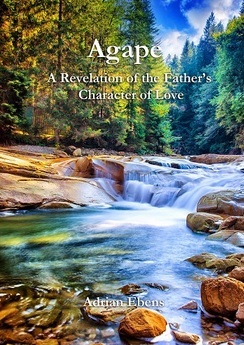 His perfect divine disclosure of God’s character is uniquely different from all others – He reveals a God that operates solely by agape love. Since Jesus Christ alone and none other has the ultimate flawless understanding of God’s character, Jesus, therefore, must be the sole arbiter of our enlightenment in regards to all aspects of God’s character. Of all who came before and after Him, none have revealed the Father’s agape character as Jesus has. Ozzie and Denice have two websites www.grace-unlimited-ministries.org and www.godontrial.org .